Our focus is to better manage this very volatile and expensive category of risk, while providing the best possible outcomes for patients. Abby Zipoy: When I talk about the Optum® Managed Transplant Program (MTP), I talk about it as a supplement to the self-funded plan. What it does is it allows the self-funded employer to completely remove that layer of transplant risk, give it to Optum, and in the event that there is a transplant episode any transplant-related costs that are incurred will be covered by Optum. Rob Frischmann: So when you couple our transplant program with our Stop Loss premium, there is an up to four percent discount to your Stop Loss premium that can totally offset the premium for your transplant product, so it’s eventually a neutral cost to the employer group. On-screen text: 50% probability a 400 EE group will experience a transplant episode with a 5-year period. Rob: So the candidates for this type of product are from that smaller to mid-size employer group, but they could be in a situation where the employer group may be thinking, “I’ve never had a transplant, I don’t need this product.” But if they never had a transplant or at least in the foreseeable past they haven’t had a transplant, this is something that can definitely help that group because they’re becoming more and more frequent. And these transplants are coming and are going to be more and more expensive, and so put it in now before there’s something on the horizon. Abby: Right. It’s really for the long-term thinkers, those that are thinking into the future and wanting to get the coverage locked in now while they have favorable experience so that when they do have a transplant episode — and we know they will, it’s just a matter of time of when — that they have that coverage in place. Rob: We can’t remove the human factor of this as well. If you’re going through a transplant or you have a loved one going through a transplant, that’s something that’s going to be very scary for everyone involved. With Optum, we can provide that support and can really hand-hold that person or their family members through the whole process and really make it a less scary position for that family. Abby: Right. With the Managed Transplant Program, we have our transplant case management nurses. Not only will they help them through the whole process, they’ll make sure that they’re using the right programs and facilities that are part of our COE (Centers of Excellence). If there are community resources that need to be leveraged, if there is support and advocacy that needs to be offered on behalf of the family, that transplant nurse is there to do that and help them through that entire process. Rob: And that it is a national Centers of Excellence. Each one of these facilities is reviewed multiple times in a year, so we really go down to the actual transplant itself. A center might be approved for a kidney, but when we look at the other transplants that they are doing at that facility we might say, “You know what, they don’t actually meet our criteria.” So it is very stringent, the Centers of Excellence, regarding who’s in our network, because we don’t let just anybody in. It’s going to be the better facilities that are going to have better outcomes for the employees and their dependents. On screen text: Request a quote today! Rob: So if a broker is interested in this product and wants to learn more, then certainly reach out to your Optum Stop Loss and MTP salesperson and they can give you more information. Rob: Because there are a few states that this is not approved in as well as, you know, the minimum lives does vary by state. So to get more information, just reach out to your friendly neighborhood Optum Stop Loss and MTP salesperson. Abby: You’re right. As territory managers, we do talk about the Managed Transplant product as well as Stop Loss. If we have a group that’s interested or we have a consultant who wants more information, it’s easy to reach out to us. We have several documents, toolkits and marketing materials that we can share with them. You’re right, the rates are the rates, and the rates can be offered net commission or with 10 percent commission included. It’s very easy for us to obtain the claims information. It’s typically the same claims experience that you would send for a Stop Loss quote. That same information can be sent to our Managed Transplant underwriting team, and they will evaluate the risk and let us know if the group has been accepted or declined, and we’ll then work with the broker. It’s a pretty seamless process. Rob and Abby talk about the Managed Transplant Program (MTP) from Optum. This fully insured product carves the risk of transplants out of the self-funded plan. When coupled with Optum Stop Loss, the MTP premium is often offset, making for a robust and expense-neutral package for your clients. Determine if self-funded health care is a good fit. Discover what carve-out and carve-in options offer employers. Protect employer assets while ensuring quality care. Gauge value when choosing a stop loss carrier. Help people save and pay for health care. Promote high-performing work cultures by helping employees be more engaged, resilient and productive. Understand the health risks of your total population and drive enrollment into the proper health management programs. 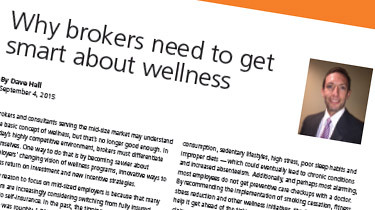 Overcome barriers to engage employees in their health. Our Managed Transplant Program is a fully insured risk carve-out policy. 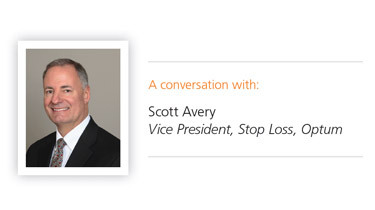 Coupled with Optum Stop Loss, it helps eliminate gaps in coverage. For self-insured groups, Optum Stop Loss insurance protects employers against unexpected increases from catastrophic claims. Meet our team of middle-market experts. 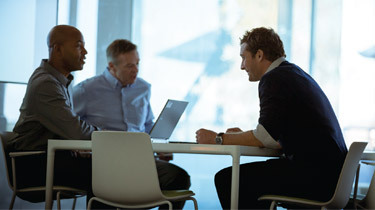 Are you a benefits consultant? Improve employee health and reduce costs. Classes taught by our subject-matter experts.